Ever wonder what it’s like to be Tony Stark? Download the one-of-a-kind, interactive experience app hosted by JARVIS to your iPad, iPhone or iPod and find out. 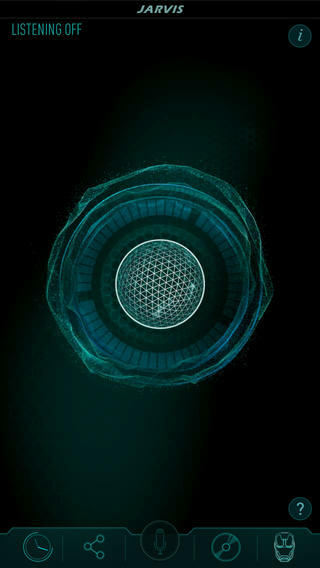 Just like the real JARVIS, you will be able to interact with him using your own voice. 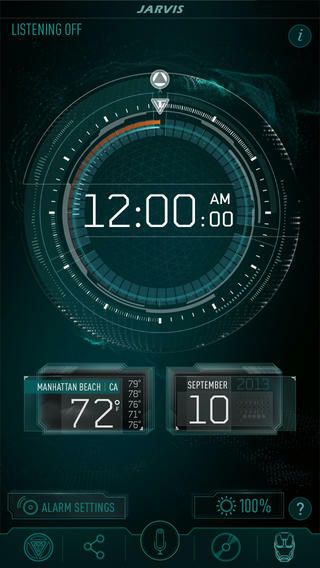 Create customized alarms to wake you in the morning, download ringtones, check the weather, post to Facebook and more! Sync the app to your Blu-ray player to unlock hidden files and suits embedded throughout the disc, and experience the first-ever voice controlled Blu-ray! The Iron Man 3 Blu-ray Combo Pack will be available on on September 24th. Activate JARVIS through a simple setup process and get ready for an entirely new Second Screen Experience. 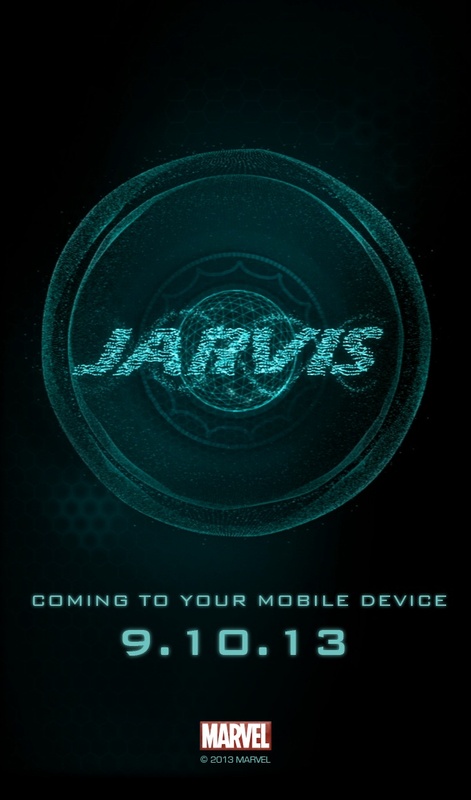 JARVIS will literally be a part of your daily routine. 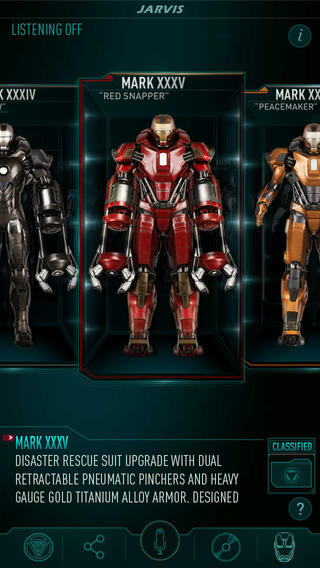 Browse through all 42 of Tony Stark’s Armors in the interactive Armor gallery. Gain access to exclusive content as well as be able to control the Blu-ray menus with either a digital remote or simply by using your voice. 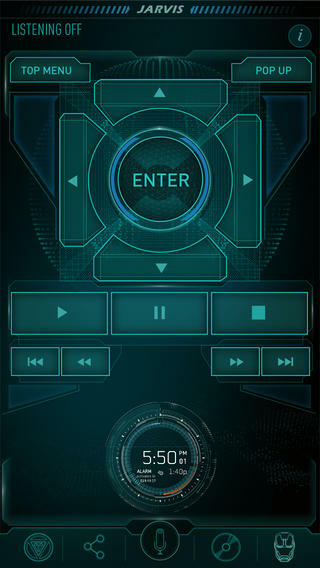 – When connected to the same network as the Blu-ray player, JARVIS will function as the Blu-ray remote control, or the user can simply “say what you see” and the app will do the rest. The app is available today for free and you can download it HERE.